There is nothing more perfect to accompany your wedding than beautiful harp music! Easy to set up indoors or out, you and your guests will enjoy a full orchestra of rich sound to set the mood you want. Heidi specializes in editing your music to fit your ceremony perfectly so that there is ideal flow and synergy for everything from the bridal processional to the unity candle. If you wish to celebrate a birthday, anniversary, reception, or funeral with elegance and style specifically tailored to your loved one, you've found the key! 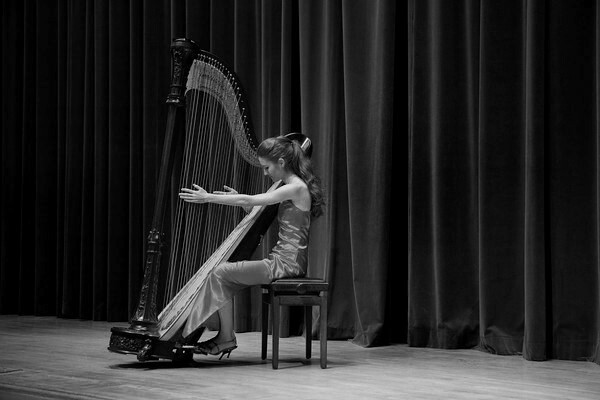 The harp is such a versatile instrument, able to transform any event into a truly special occasion. Teaching students from early childhood to middle age and beyond retirement is extremely exciting and rewarding to both student and teacher! Regardless of age and whether you have musical background or not, if you or your child has always wanted to play the harp, contact Dr. Heidi to begin your positive and adventurous journey into this musical instrument! Students will receive private lessons and experience in solo and ensemble recitals yearly, creating a well-rounded player and a wonderful camaraderie in the studio as we perform together! Currently performing with the Phoenix Symphony after playing with the Kansas City Symphony and Oklahoma City Philharmonic has been a delight, as was soloing with the Fort Smith Symphony and the Arizona Symphony Orchestra. If you are looking for a harp soloist for your community or professional orchestra, or need a substitute for your regular player, please contact for possible availability! It is a real privilege to give classical, popular, and varied informative recitals to groups. 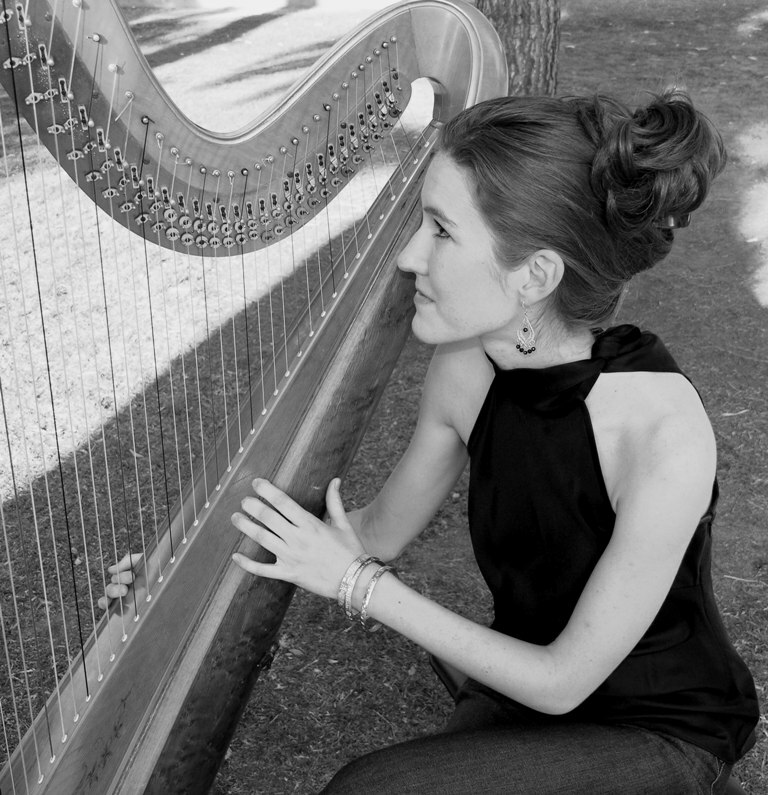 From very formal settings and repertoire to Q & A sessions surrounded by diverse repertoire, the attendee is sure to discover the harp in exciting ways never before imagined! The harp is mentioned numerous times in the Bible as an instrument of worship. Whether it is through old hymns of the faith, modern choruses, or original songs, there is no greater joy than celebrating music and faith in an awesome God. Copyright 2009 Heidi Hernandez, Harpist. All rights reserved.